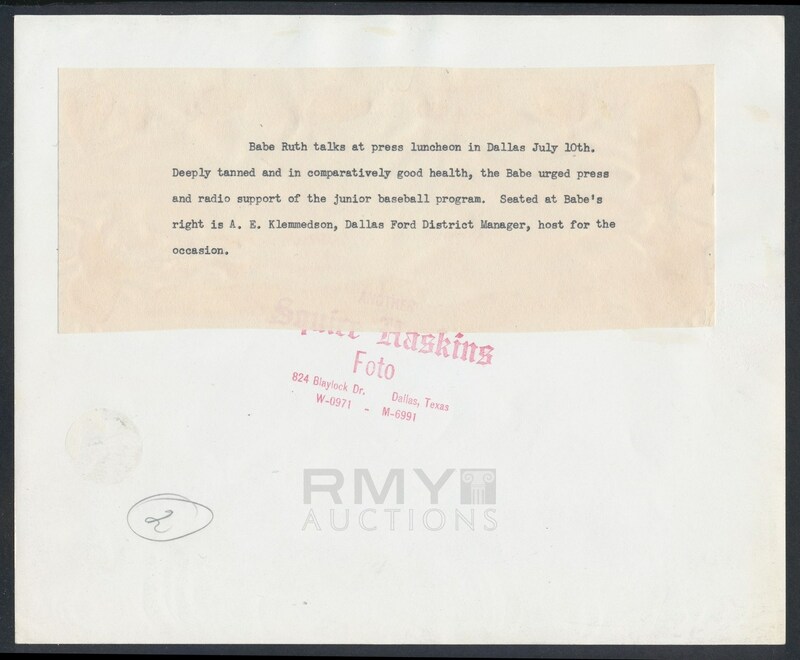 Lot # 61: 1947 Babe Ruth, "The Bambino Visits Dallas, Texas" Guest Speaker in the Lone Star State! 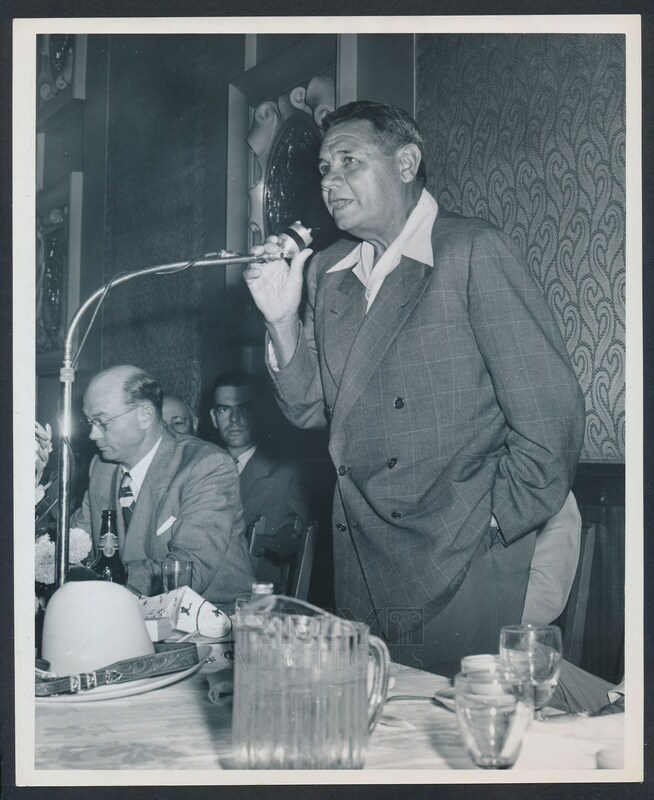 Large 1947 photograph of the greatest baseball player that ever lived, Babe Ruth as he visits Texas and speaks at an event for junior baseball in Dallas. One of the few images of Babe in Texas we have seen and it presents well with a stamp from the photographer on the back.